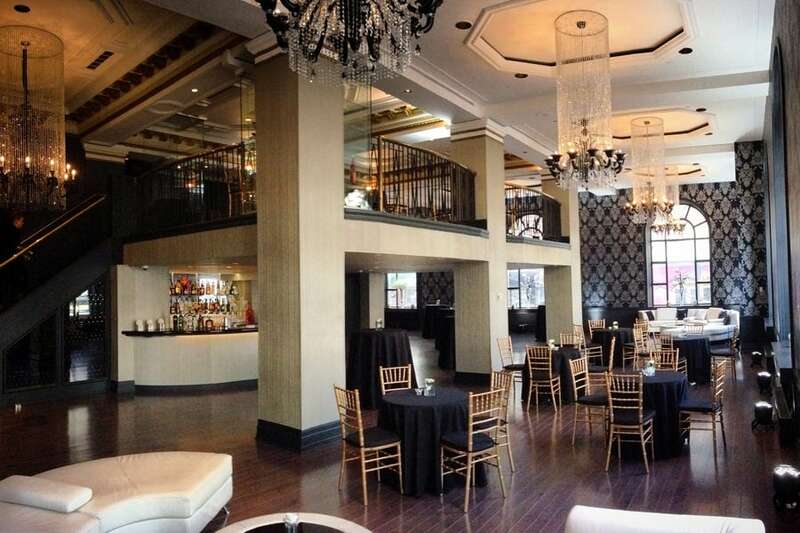 Welcome to The Windsor Ballrooms, one of Montreal's most prestigious and historic reception and event venues. Boasting two breathtaking ballrooms and the luxurious Peacock Alley, The Windsor brings elegance to any reception. 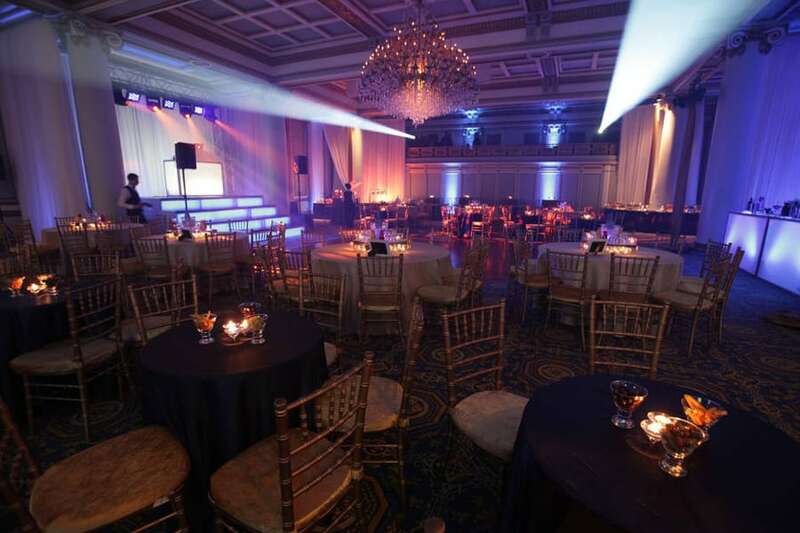 Our palatial Victorian style and French Renaissance ballrooms have hosted some of Montreal's most extravagant corporate events, weddings receptions, galas and fundraisers. Constructed from 1876 to 1878, the Windsor Hotel is one of Canada's most impressive buildings of the Second Empire style. The design of the hotel was entrusted to an American architect, William Boyington. 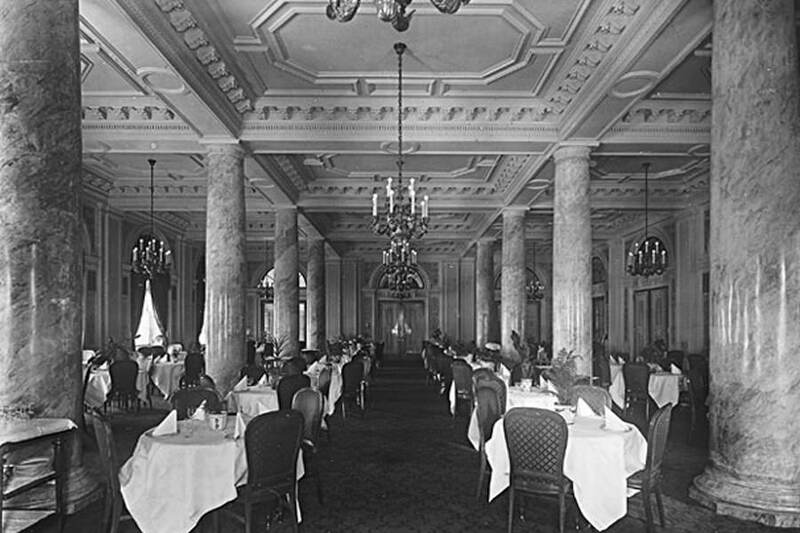 The Windsor was considered the best hotel in all the Dominion; a magnificent nine-story structure of sandstone and granite offering palatial splendor with its gold-embossed lobby, six restaurants, two ballrooms, concert hall and 382 luxurious guest-rooms. 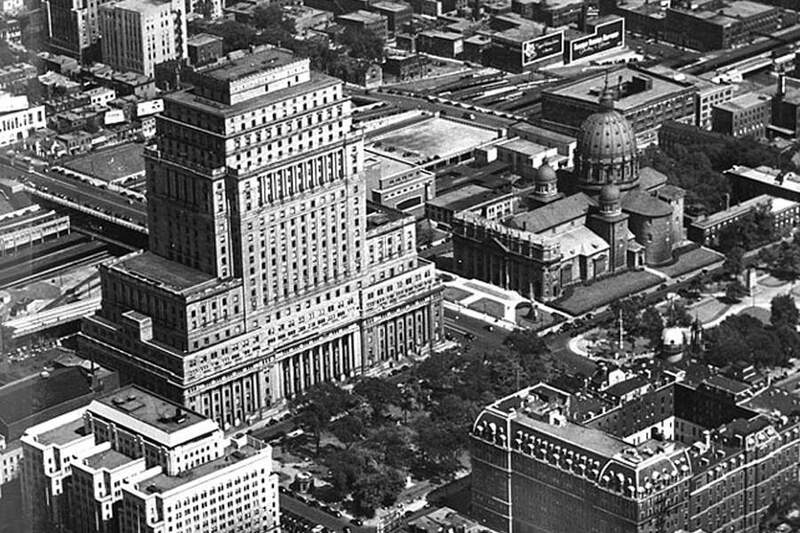 The hotel was established along the entire block of René-Lévesque (then Dorchester) Boulevard and Cypress Street, between Stanley and Peel (then Windsor) streets, where today is located the Canadian Imperial Bank of Commerce office tower. 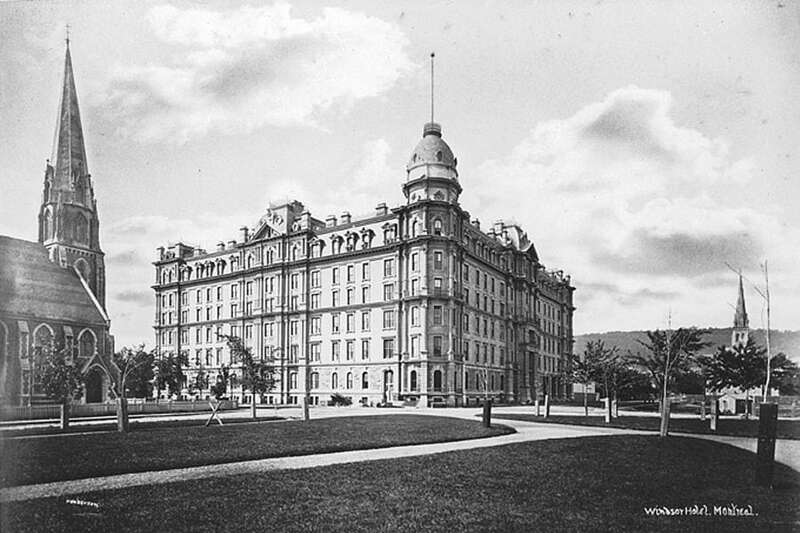 The Windsor Hotel was inaugurated on January 28, 1878 by Lady Dufferin, wife of Canada's Governor General. Also present were Queen Victoria's daughter, Princess Louise, with her husband, the Marquis of Lorne, Lord Dufferin, Governor General of Canada, and Sir John A. MacDonald, Prime Minister of Canada. 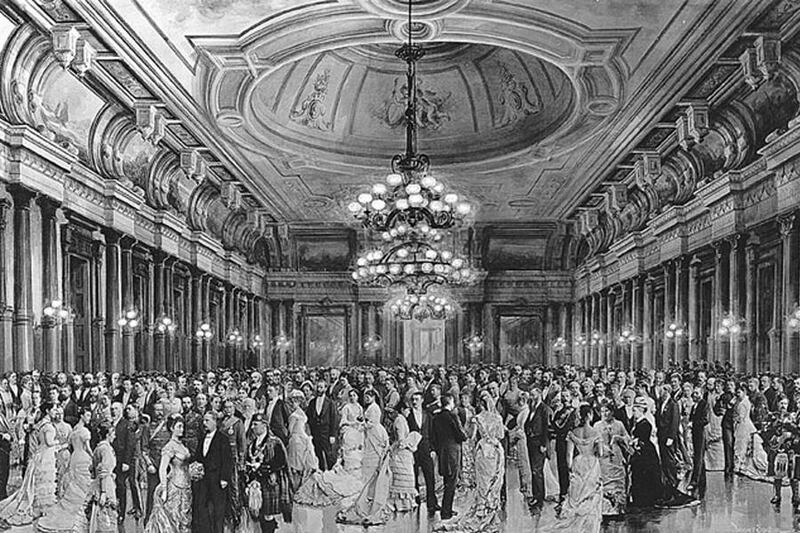 The St. Andrew's Society Ball, held on November 30, 1878, highlighted the opening ceremonies of the hotel and remained an annual event for more than one hundred years. 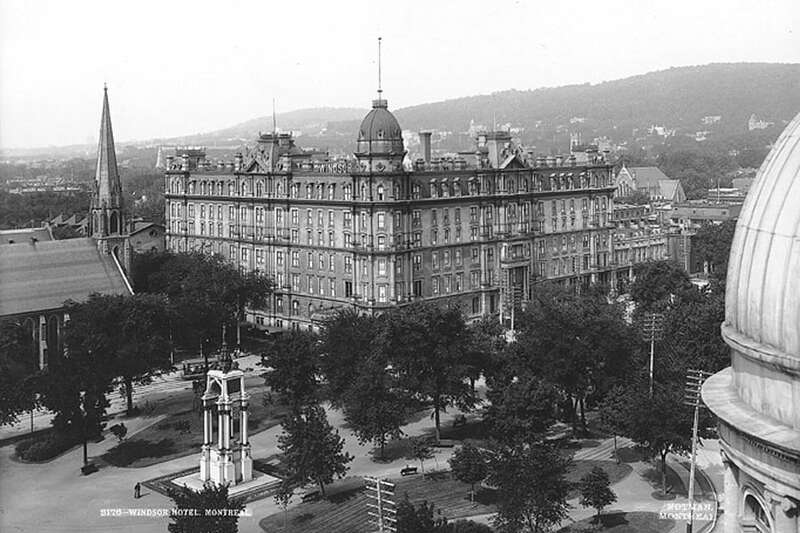 The hotel was favoured by popular gatherings and seasonal festivities held in Dominion (now Dorchester) Square which attracted thousands of Montrealers and tourists from all over North America. 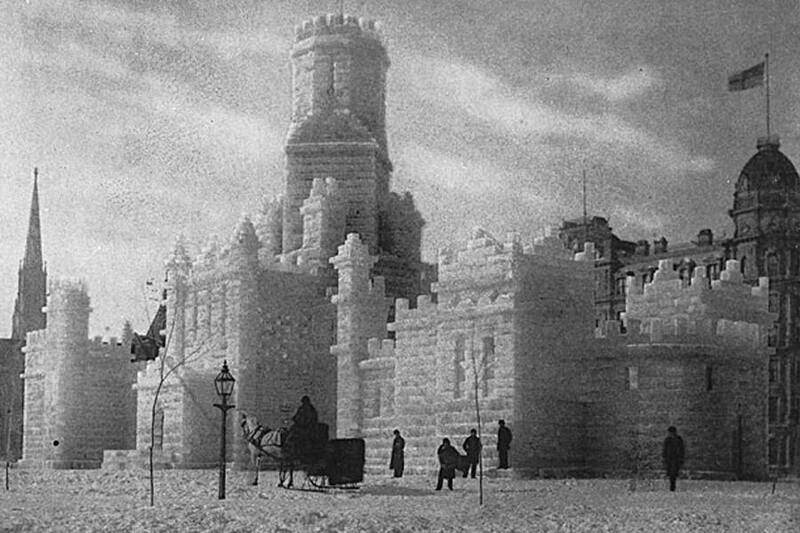 The first Winter Carnival of 1883 was a unique attraction for tourists who came to visit the ice palace and danced at the ball marking the annual Winter Carnival at the Windsor Hotel. Winter carnivals were held from 1883 to 1889. The Windsor Hotel had become an established meeting place and also enticed businesses such as Henry Birks & Sons, Morgan's and Ogilvy's to leave the financial district of St. Jacques Street and open premises nearby. 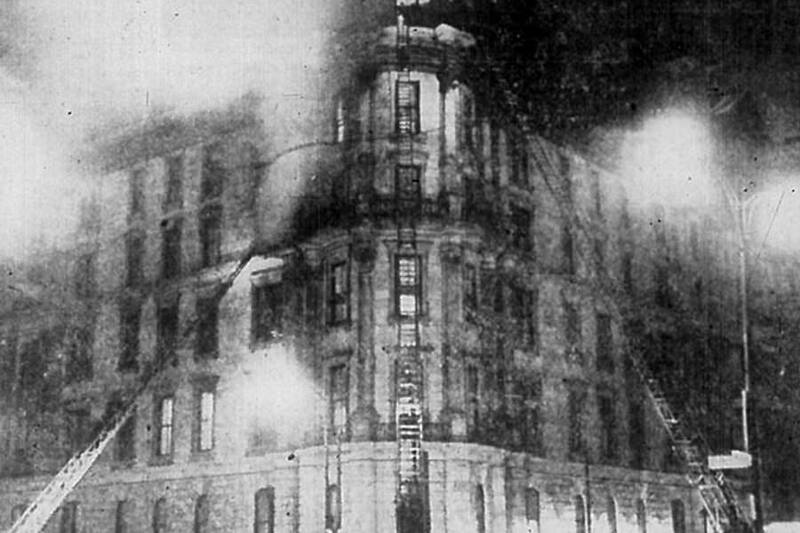 As New York architects Hardenberg & Gilbert were completing the plans for the North Annex, a fire destroyed more than one hundred rooms on January 12, 1906. 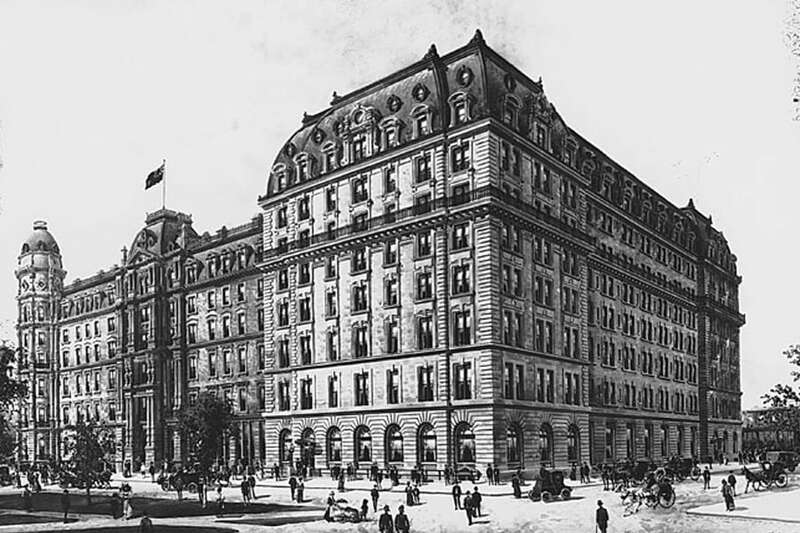 The North Annex was completed in 1908 to increase the hotel's capacity to 750 rooms. 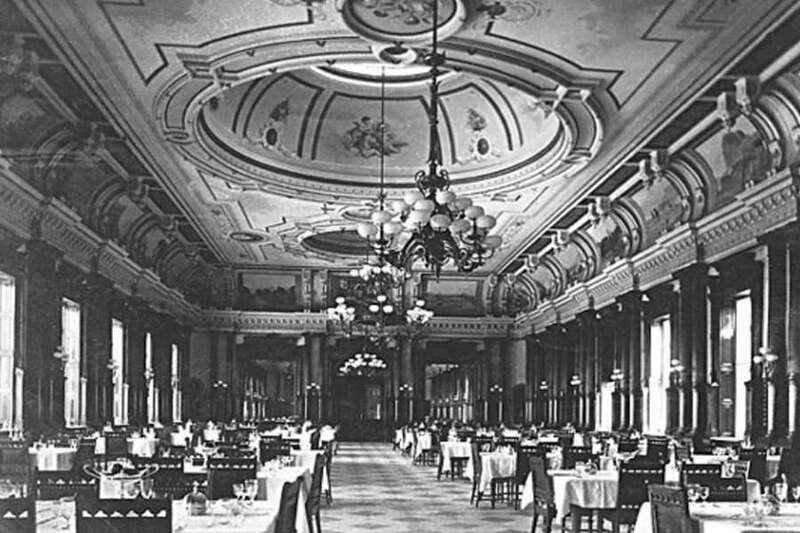 The annex had two elevators, two magnificent ballrooms and a long hallway known as Peacock Alley. During a meeting of the National Hockey Association (NHA) at the Windsor Hotel, the Canadiens are founded by J. Ambrose O’Brien, and on November 26, 1917, in one of the restaurants of the hotel, the owners of the Montreal Canadiens, the Quebec Bulldogs, the Montreal Wanderers, and the Ottawa Senators founded the National Hockey League (NHL). 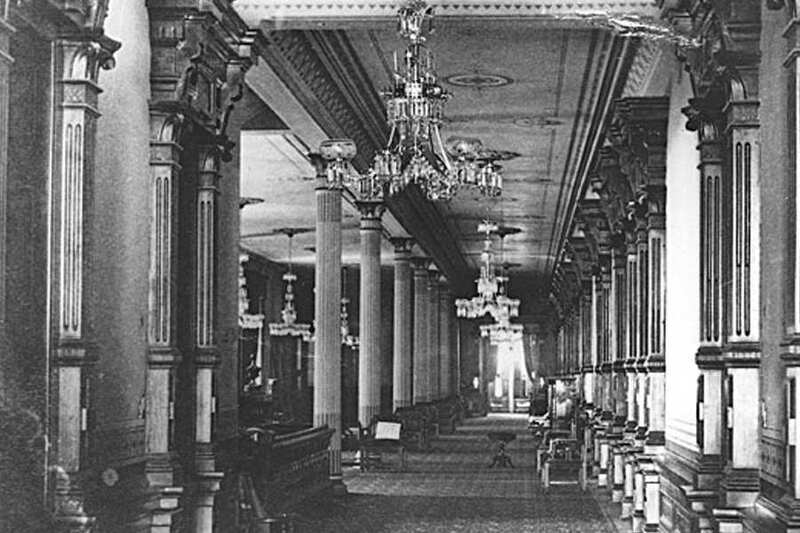 This long hallway was named Peacock Alley because of the peacock design in its stained glass windows. 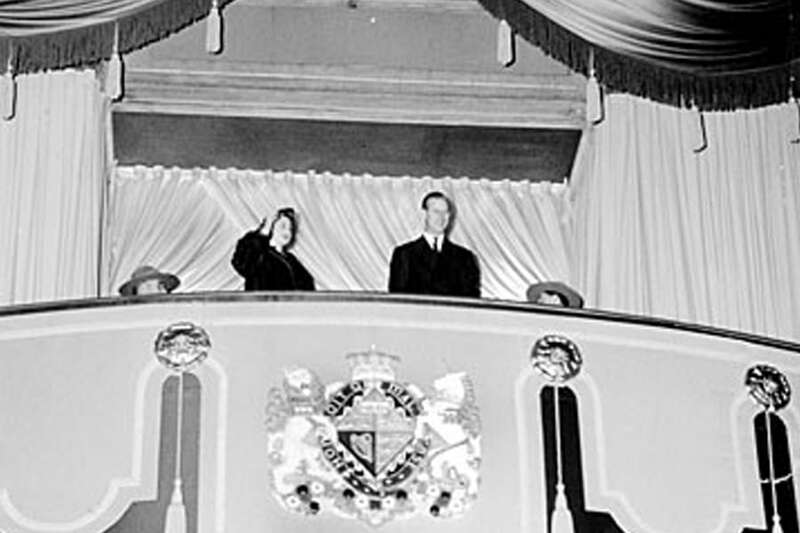 On May 18, 1939, King George VI and Queen Elizabeth stayed at the Windsor Hotel during their cross-Canada tour. A state banquet was held at the Windsor to honor the Royal Couple. The Windsor later played host to Winston Churchill, Charles de Gaulle, John F. Kennedy and Jean Lesage. On August 16, 1945, the first PICAO (Provisory International Civil Aviation Organization) conference was held at the Windsor. 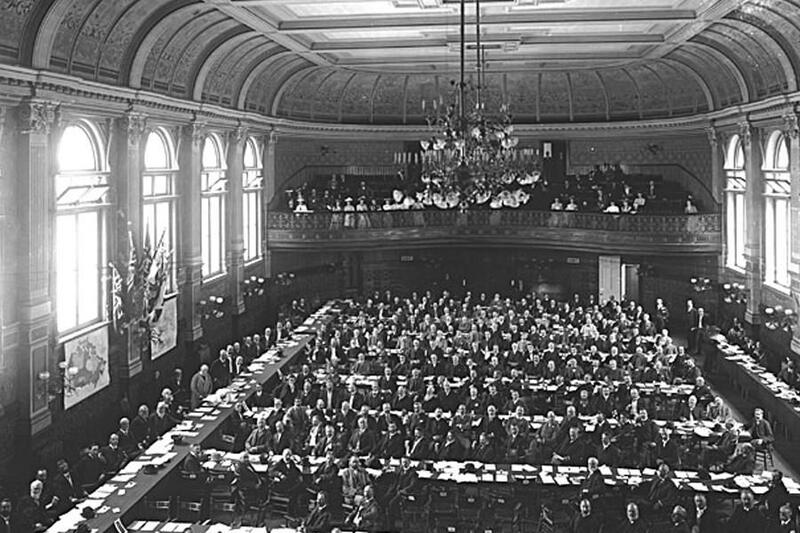 The end of the Second World War was announced during the conference. 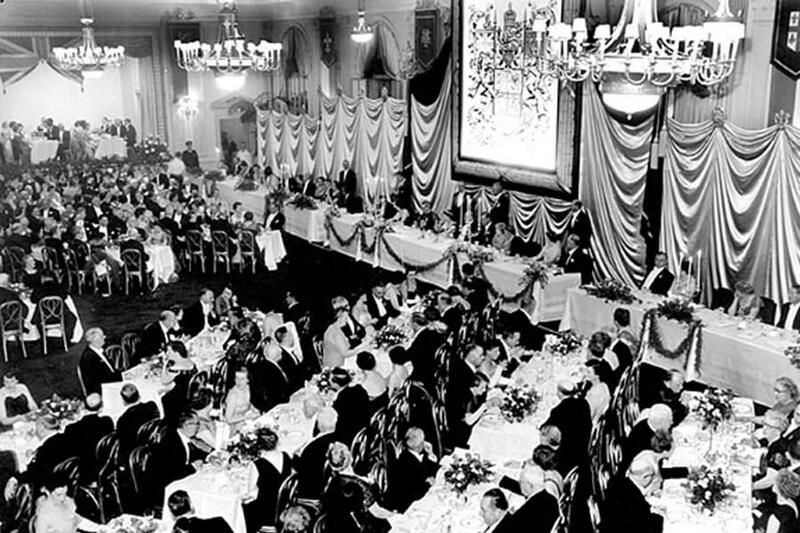 A civic dinner was held on October 30, 1951 at the Windsor Hotel as more than 1,000 guests honoured the Royal Couple. On October 29, 1951, the Windsor welcomed Princess Elizabeth and Prince Phillip during another royal tour. The Royal Couple reappeared twice on the hotel balcony to respond to the crowd who had come to welcome them. 200 guest rooms, two ballrooms and Peacock Alley. Hard times had come. The hotel had been closed for 18 months for renovations and was soon surpassed by a newer generation of hotels. 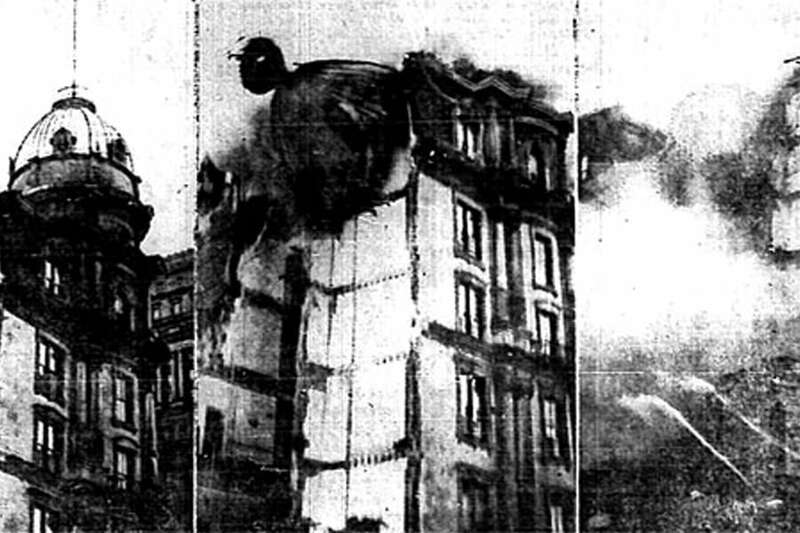 The Montreal Star on December 11 wrote: "for a moment it seemed that Montreal’s heart stopped beating... 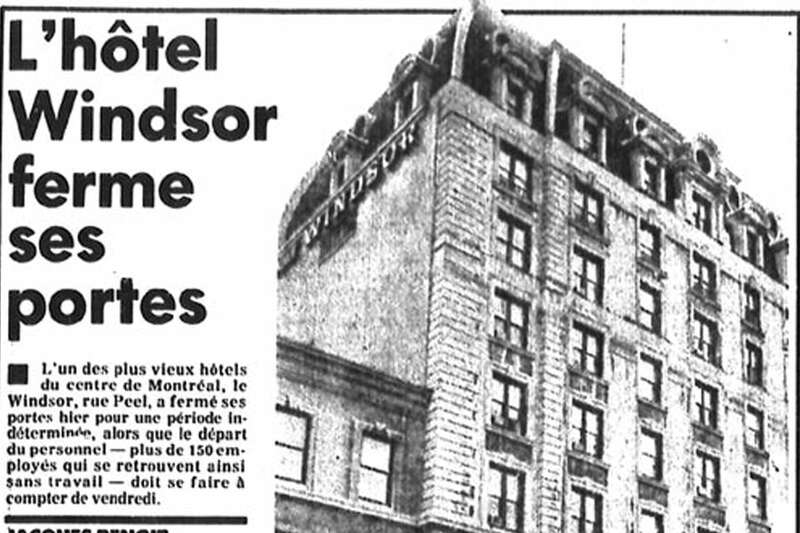 The Windsor has been close to the heart of Montreal geographically, spiritually and socially since the day it opened". In November 1978, the hotel celebrated its 100th anniversary as well as a hundred year association with St. Andrew's Society. 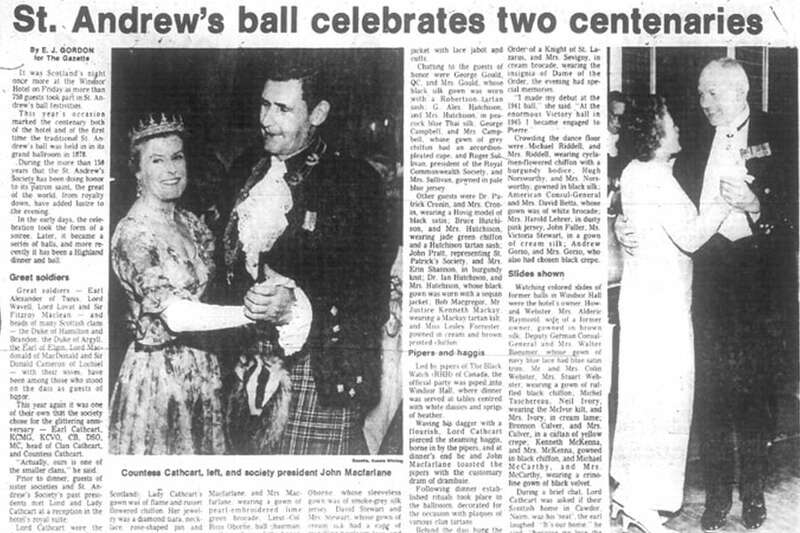 The Ball of the Century was held as part of the hotel's Centennial celebrations, for it was the St. Andrew's Society Ball which highlighted the opening ceremonies of the Windsor Hotel. Three years later, the hotel closed its doors on October 27th 1981. On May 21, 1982, the 103-year-old institution sold off all its treasured possessions, from champagne glasses and china to silver. 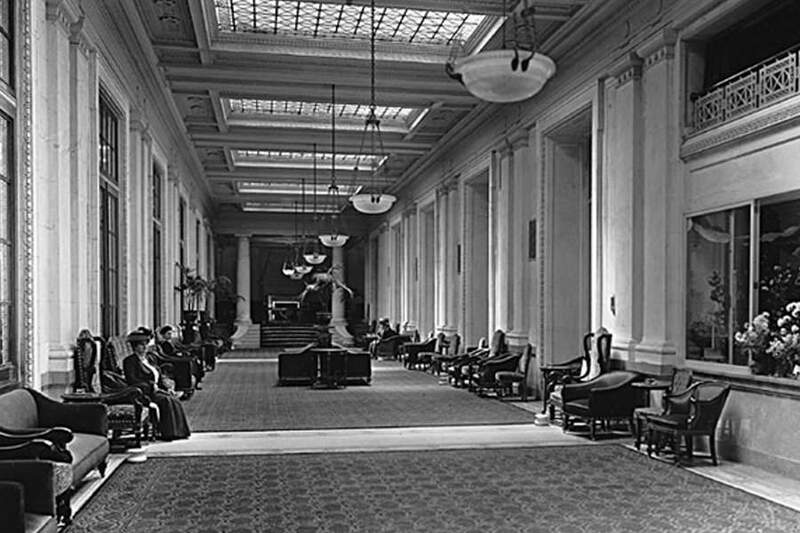 In 1985, the F-I-C Fund Inc., a member of the Laurentian Group, acquired the building and transformed it into a modern office while carefully preserving and restoring the ornate Peacock Alley and its two magnificent ballrooms to their former splendor. The restoration of the building was entrusted to the architect Ken London. Inaugurated on October 1, 1987, its name changed to 'Le Windsor' as it became a prestigious office building with transformations at an estimate cost of $40 million. Prestigious firms were the prime tenants. 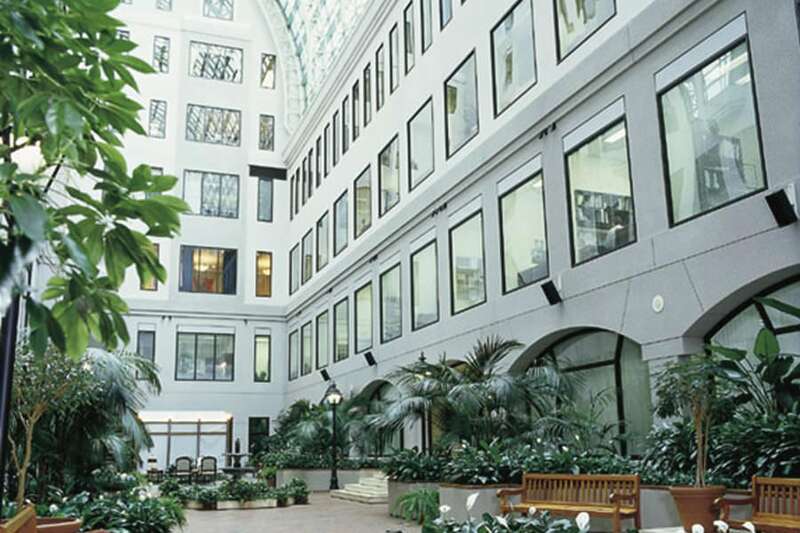 An attractive feature of the ambitious transformation is the creation of a glass Atrium which rises from the second floor the full height of the building to form a glass arcade surrounding an interior court of green spaces. The transformation also included a two-storey addition to the south wing of the building. 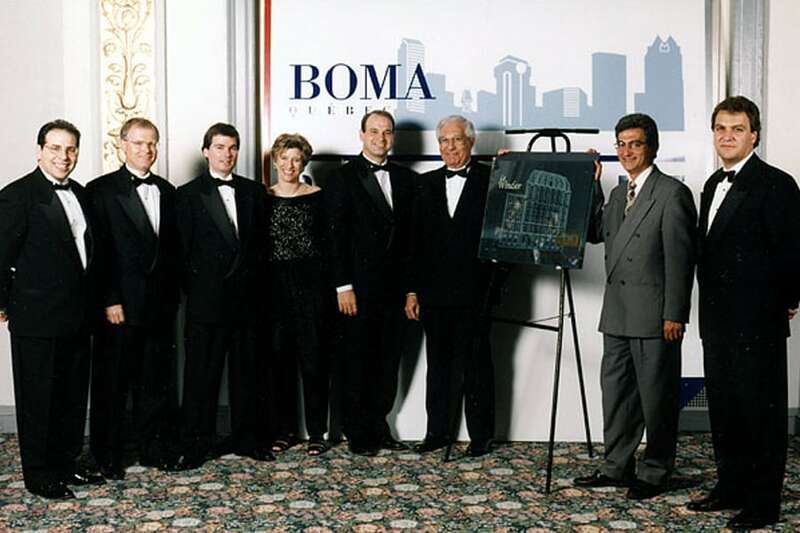 Le Windsor earned the TOBY (The Office Building of the Year) Award, in the historic building category at the BOMA gala which was held at the premises. This prize recognizes the excellence of a high-quality environment and first class services. 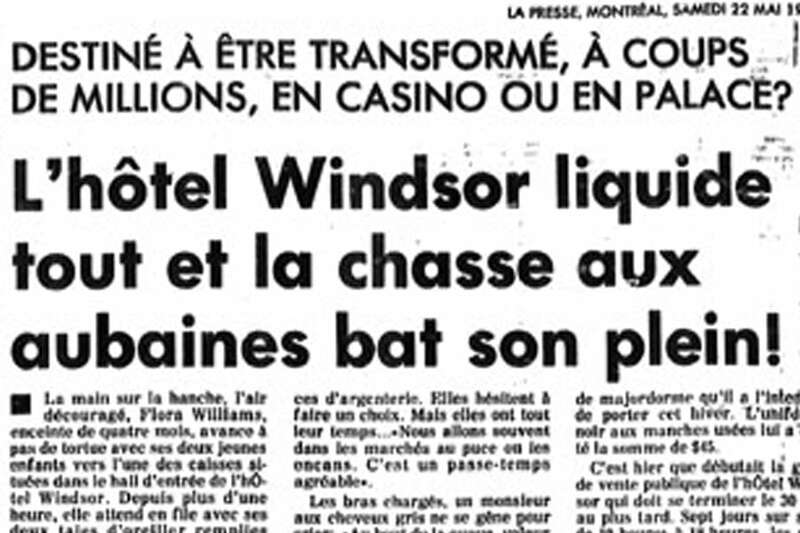 The same year, Le Windsor reappeared on the national scene when CBC broadcasted from one of the ballrooms its world-wide coverage of the Quebec Referendum. 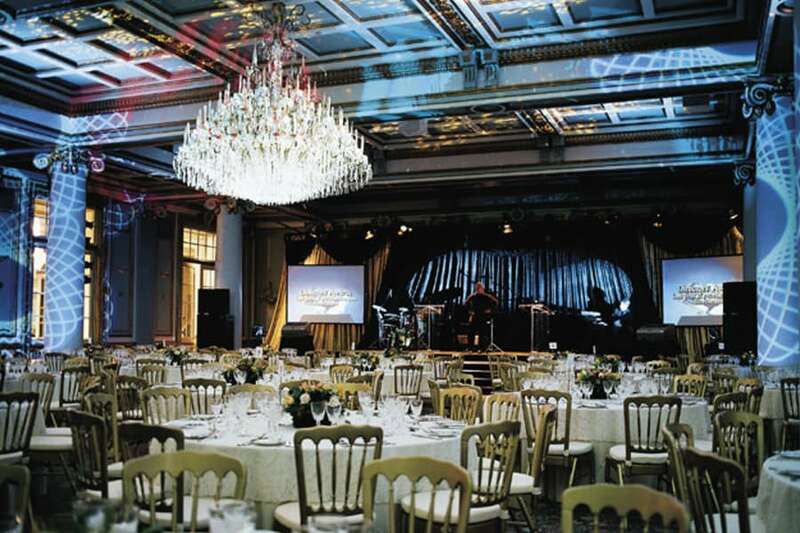 Since the nineties, the French Renaissance style Salon Versailles and the Victorian style Salon Windsor have been a unique venue for special events such as banquets, conventions, wedding receptions, press conferences, and product launches. They have served as a location for production companies in such television series as Blanche and Rudy's War, and such feature films as The Jackal and Sum of all Fears, and the television production Canadian Idol. 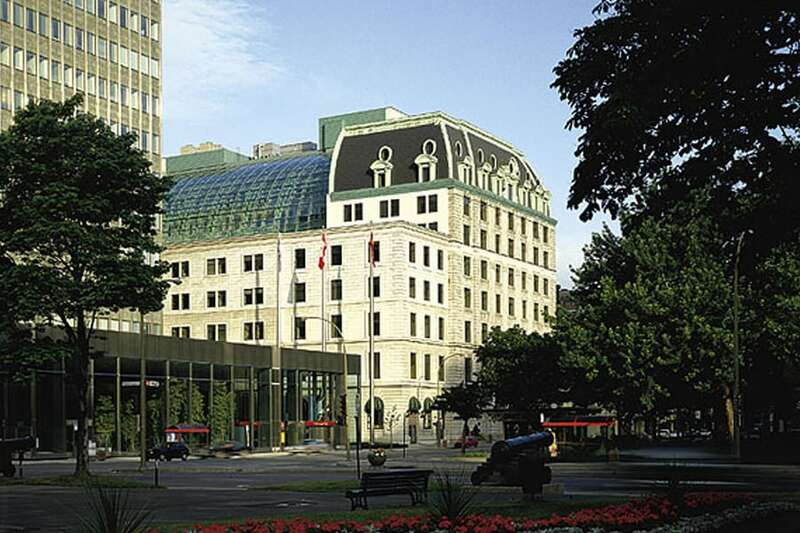 In 2003, The Windsor celebrated its 125th anniversary as one of the most prestigious landmarks of Montreal's urban heritage. Most recently, the Windsor has taken up a "going green" initiative to contribute to the preservation of the planet. In 2011, they changed the carpeting in both the Salon Windsor and Salon Versailles giving it a modern expression while still keeping with the regal touch of Le Windsor. In 2016, the Windsor Ballrooms acquired a new venue space in the former Piment Rouge restaurant and transformed it into a reception hall. Slightly smaller than the ballrooms, the contemporary look of the Crystal Lounge is the perfect venue for cocktails, corporate and social events.